When the time limit for submitting applications for new oil and gas exploration and production licences in the 8th Licensing Round expired today at noon, the DEA had received 5 applications. Four companies are involved in the applications. Further, the Nordsøfonden will receive a share in all the licences to be awarded. “I am pleased with the number of applications received in the 8th licensing round. It confirms our understanding of the Danish North Sea as a stable, attractive oil and gas investment area. This is positive, because our North Sea activities contributes with income for the Danish society, and even though Denmark is well on the way with the transition towards a low-emission society, oil and gas will continue to be an important part of the global energy system for years to come” says the Ministry of Energy, Utilities and Climate, Lars Chr. Lilleholt. 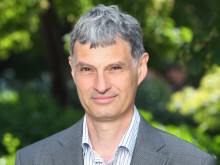 The 8th Licensing Round was opened in June 2018. The areas offered for licensing comprised unlicensed areas in the Central Graben and adjacent areas west of 6° 15´ E.
See map showing the areas offered. When the DEA has finalized the processing of the applications, the Minister of Energy, Utilities and Climate will in accordance with the provisions in the Danish Subsoil Act forward a statement on the intended licence awards to the Energy, Utilities and Climate Committee in the Danish Parliament (Folketinget). The new licences are expected to be granted this summer. To ensure optimal utilization of the Danish subsoil, the DEA intends to hold licensing rounds at regular intervals in the future. The intention is to launch new licensing rounds approximately every second year. Thus, the aim is to initiate the 9th Licensing Round in 2020. 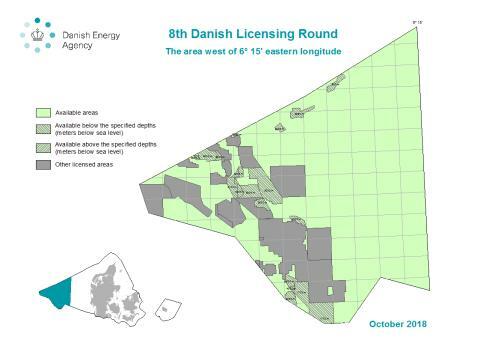 Nordsøfonden is the Danish state-owned oil and gas company managing the state participation in the majority of the licences in the Danish area. Since 2005 Nordsøfonden has participated in all new licences in the Danish sector.